OTTAWA - The prime minister and his Japanese counterpart have pledged to work together to reach a comprehensive free trade agreement between the two countries. 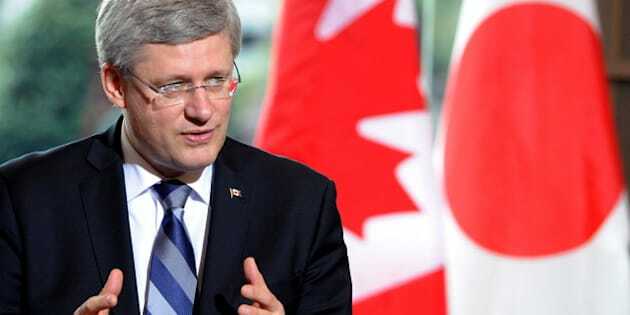 In a phone call on Monday night to congratulate Japanese Prime Minister Shinzo Abe (AH'-bay) on his recent election, Stephen Harper noted that enhancing bilateral trade and economic relations between Canada and Japan is important to the prosperity of both countries. The Prime Minister's office said Harper and Abe also discussed the potential for energy co-operation and matters of international security. Additionally, Harper offered his condolences to Abe and the families of Japanese nations who were killed after militants attacked a remote gas plant in Algeria earlier this month. Harper's conversation with Abe came just hours after Japan announced it was relaxing restrictions on imported beef from Canada and three other countries a decade after raising barriers amid the so-called mad cow disease scare. Japan's Foreign Ministry said it will allow imports of beef from cows up to 30 months old, effective this Friday. The previous standard was to ban imports of beef from animals older than 20 months. Trade Minister Ed Fast said the announcement was proof the Canadian government's efforts to expand access for exporters were paying off . "We look forward to taking our trading relationship with Japan to the next level through an Economic Partnership Agreement which would provide additional export opportunities for Canadian businesses," he said. Japan is Canada's third-largest export market for beef. The Canadian government estimates the potential market value of beef exports to Japan will rise to between $140 million and $150 million a year, about double what they have been.